Video Game Palooza is a game industry charity dedicated to improving the lives of children who are ill. We donate video games and interactive technologies to hospitals and related medical organizations worldwide. Video Game Palooza works in two ways. First, with the help of hospital staff, we fulfill wish lists for children who love video games by supplying video games and other fun interactive technologies for kids and adults in need. Donors can choose specific medical facilities that are part of our partner network, or you can have Video Game Palooza donate on your behalf! Secondly, Video Game Palooza also receives cash donations throughout the year. 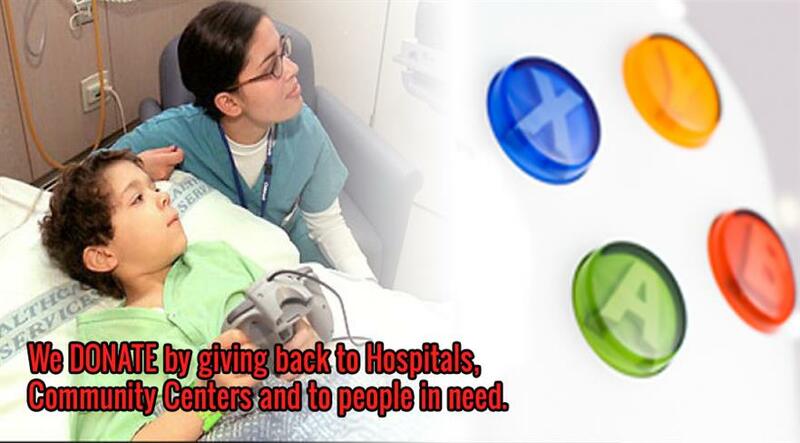 With those cash donations, we purchase new consoles, peripherals, games, and more for hospitals and therapy facilities. These donations allow for children to enjoy age-appropriate entertainment, interact with their peers, friends, and family, and can provide vital distraction from an otherwise generally unpleasant experience. We also provide full size arcades and other items typically found in an arcade or retro gaming center to create unique permanent or temporary video game experiences that are custom designed and deployed at facilities across the world. Check out our new Video Game Palooza Facebook Site!